In Washington State we have some of the worst traffic in the country. 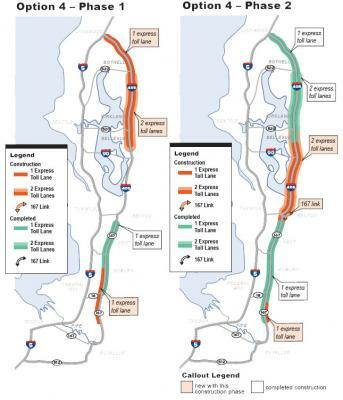 We have a north-south route, I-5, and a bypass I-405 that can be really tough to travel on unless you can take advantage of the carpool lanes. In most states that have federally funded Interstate carpool lanes the states have placed reasonable time restrictions for the HOV only use. Usually these HOV lanes are restricted to 2+ person carpools, buses, and hours during peak commute times. They are usually open to all traffic outside those peak times. Not here in the Seattle area the State D.O.T. citing federal funding as the reason why there is no reasonable off-peak unrestricted usage of those lanes...until now. The current Administration has reversed a long-standing mandate that tolling on Interstate highways was not allowed. This has opened the door to a localized Interstate system by allowing states to apply tolls to existing toll-free Interstate lanes. Now those lanes that were 2+ restricted are now 3+ restricted and possibly a user fee would be added. In addition, the change in the law supposedly prevent States from tolling federal interstates now except if the money is used to add lanes or otherwise increase capacity, or if the highways have had tolls dating back to before the federal interstate highway program was launched in 1956. 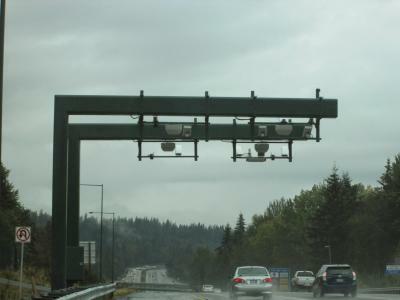 Washington's I-405 tolling not only increases the carpool occupancy requirement from 2 to 3 passengers it also adds tolling on the passing lane thus decreasing capacity forcing those drivers who choose not to pay a toll to use the two un-tolled lanes. It appears that this is in direct conflict with that portion of the bill. I don't know about all drivers' opinions but of the ones I have talked to this new highway tolling should allow a reduction in our per gallon gasoline tax which is among the highest in the continental United States. This action is not about increasing capacity, rather it is establishing a new revenue stream. One thing to consider - just as the tolling on the Narrows Bridge has proven, they never lower the tolls or taxes. Last update on February 22, 11:22 pm by CJ.